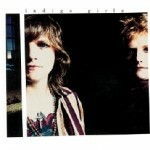 Emily Saliers and Amy Ray have been together as the Indigo Girls for over three decades. Their career took off with their 1989 self-titled album, with key songs like “Closer to Fine” and “Kid Fears” reminding us that music can be simultaneously beautiful and thought-provoking. Both Saliers and Ray are amazing songwriters, with some additional song highlights being “Strange Fire”, “Secure Yourself”, “Galileo”, “Least Complicated”, “Power of Two”, and “Shame on You”. 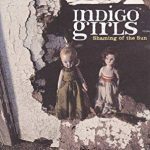 Over the years their music has evolved – perhaps most notably they started plugging in their guitars more often – but their wonderful lyrics and harmonies have always continued to shine. 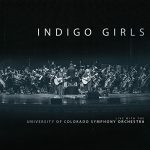 Their next album – a project with the University of Colorado Symphony Orchestra – will be released at the end of June. 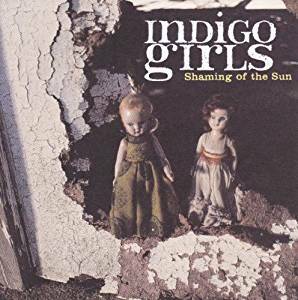 The Indigo Girls are also politically active, and have long supported environmental, Native American, and gay rights causes. This interview with Emily Saliers was for a preview article for noozhawk.com for their 6/30/18 concert at the Fremont Theater in San Luis Obispo. It was done by phone on 6/11/18. 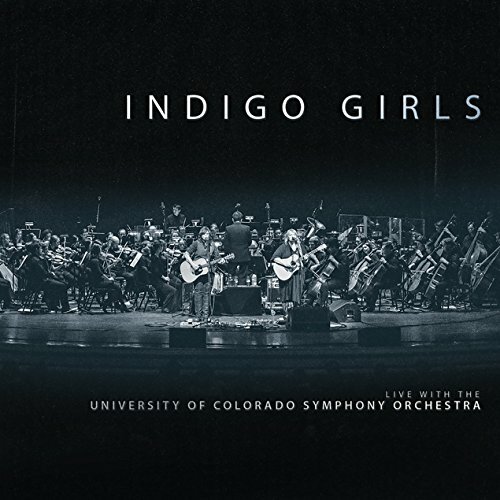 Jeff Moehlis: I understand that the Indigo Girls has an orchestral album coming out soon. Could you tell us a bit about that? Emily Saliers: It’s coming out June 29th. Amy and I have been playing with orchestras in North America now for the past several years. We just got invited to be a part of that by an agency that puts artists together with symphonies. It was a real honor to be asked to do that, and eventually we ended up getting twenty-some songs arranged. We take those scores to each symphony, and have played all these shows. So we really wanted to capture that, and we ended up doing a show with the University of Colorado Symphony Orchestra at Boulder. We just loved them. They were grad students and some undergrads, and they just had a real passion about their music, and they loved the conductor. So we just asked them, basically, would they be willing to make an album with us, and they did. And now it’s done. When Amy and I are just playing our acoustic guitars, I always hear those orchestral arrangements swirling around my head now. JM: I’ve been listening to your music since shortly after your self-titled album came out. What are your reflections on that album, nearly 30 years later? ES: Well, it was kind of a crazy time. I mean, we never thought we’d get signed to a major label, and then all of a sudden we choose a producer to work with that produced R.E.M., then we’re going out to Los Angeles to make an album. It was all a little bit head-spinning. But we were anchored to our community roots, and the guys from R.E.M. came and played, and Michael [Stipe] sang. And then “Closer to Fine” came out and did really well. We were kind of like, “What’s happening? Where are we?” Because we were a bar band. We still are, really, in our spirit. So it was quite exhilarating, thrilling, a little scary to sort of reach a national audience like that. JM: How did the song “Closer to Fine” come together? ES: I wrote that song… My family was on vacation together in Vermont. We rented a little cabin from a crony of my dad’s, and I was just sitting out on the front porch thinking about my college experience in academia, and sort of the insular world of that. And then I started thinking about where we go to get our answers to life’s deepest questions, and I just started exploring it. So I just sat there on that porch and wrote that song. It was just one in the small groups of songs really that Amy and I prepared for that first album. And then the record company decided to release it as the first single. We made a video for it with all our friends from home, like Caroline Aiken and members of the Ellen James Society band, and then the Hothouse Flowers guys who were from Ireland and played on the record. So it was just a really super-cool convergence of the beginning of a simple song all the way to gathering all these people, then having it released as a single. JM: And how did the song “Galileo” come together? ES: I remember the house where I was living, and my friend was over and we were talking late one night about reincarnation, and what were our beliefs or not about reincarnation. And so I wanted to write about that. And then I just thought a lot about Galileo, with the church making him recant. I just thought a lot about how as human beings we just keep trying to get it right, you know? I used Galileo as an example – he had found some truth, and was sort of an elevated soul in that way. And then I just put all those things that my friend and I had been talking about together in that song. I just wanted a song that was fun to sing. JM: “Closer to Fine” and “Galileo” are almost 30 years old. How has your approach to songwriting changed now versus back that? ES: You know, it hasn’t changed at all, except that now, after having written so many songs, I try to be really careful not to repeat myself. It’s very hard to do – inevitably I’m going to use some of the same words in songs. But I try to search for new images. One of the differences is that I write my lyrics on the computer now, so I’m not writing them by hand and scratching them out. You know, I may write them on the computer and print it, and then do some hand-scrawling on the paper. So that’s been a change. Another change is that sometimes I’ll find one of the Apple loops or something, and start playing it and I’ll write a chord progression to that. I really find myself just loving grooves. I’ve always been drawn to African-American music like R&B, soul, hip hop and stuff. Really, writing a song – sitting down and thinking about something, and then just finding a way through music to explore it – hasn’t changed at all. Another change, though, is the discipline of it. Like, I just go and arrange time to sit down in my workroom and work. When I was young I just waited for the muse to arrive, and now I use my voice memo recorder to remember all my ideas. I may have a line come into my head, but if I don’t record it or write it down I’ll forget it. And also, I just have to think of writing as a job, in terms of the discipline of arranging time for it. So that’s different. 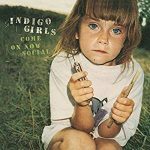 JM: There aren’t many music duos who have stayed together as long as the Indigo Girls have, at least while seemingly getting along with each other for the whole time. Do you have a secret formula for how you and Amy work that has helped you to stay together for all these years? ES: There’s lots of reasons. I mean, at the center of it all, we share the same values, the same deep desire to be involved in our communities and to use music as a tool for healing and change. And our families have known each other since elementary school, so we’re grounded in our families. All of the milestones of life, our families have shared. And then we have this value system. But a large part of the secret is not spending a ton of time together. Amy’s got her own projects, I’ve got my own projects. We have separate lives, separate social lives. We write our songs separately. She writes hers, I write mine, and then we come together and arrange them. And we both want to keep things fresh, so we make new setlists every night, try to learn new instruments, try to grow, stay inspired by listening to all kinds of contemporary music. So there’s a lot of things that go into it. But I think the basic crux is shared values and deep respect for what each other brings to the table, and then the time that we spend apart, and trying to keep things fresh. JM: I don’t know if this is an easy question or a hard question. 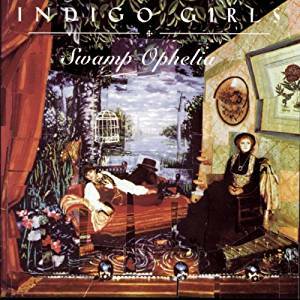 Do you have a favorite song that Amy wrote for the Indigo Girls? ES: Oh my gosh. I mean, I love all of her songs. It’s weird to get to sing her songs. Sometimes when you get to sing a cover song – you pick a song that you love and you sing it – there’s a certain joy to it that’s different from singing one of your own songs. So I get that kind of feeling when I sing Amy’s songs, because it’s not my song. I don’t know if I can even describe it. So I truly love all her songs. It’s like getting to have two musical lives. But I can tell there’s one line that she wrote that every time we sing it, I just feel it to my core. It’s in “Shame on You”. It’s the line that says, “I think we were on the same boat back in 1694”. In the face of immigration, which has always been an issue in the US but it’s particularly heightened right now, that line, it’s like, “Woah!” Amy’s a great writer, and I can’t pick a favorite song, but I can pick a favorite line. That’s it. JM: Of course the natural question after that is, do you have a favorite song of your own that you wrote? ES: It’s like saying “What’s your favorite book?” or “What’s your favorite movie?” It’s just so hard to say one. But I can tell you one that I always refer back to, that’s very, very personal, and also it kind of captured as closely to what I wanted to say as any other song I’ve ever written. I mean, that’s the struggle in songwriting, to try to express in words and music at the same time as closely as you can to what it is that you’re thinking or feeling. So I have a song called “She’s Saving Me” that really got as close to that as I ever have. And then I have a song off my solo album that I really love, that I think I’ll always love, called “Train Inside”. ES: Follow your voice. Just keep doing your own thing. And play live as much as possible, and make recordings of your original music. It’s so much easier to do now, probably, than it ever was to make a fairly decent sounding recording for not too much money. And to do it for love. If you chase things… I mean, Amy and I never really chased anything. We just were given all these great gifts along the way, and I think it’s important to just really go inside and find your own voice, and write about the things that you care about. And then, if you really want to be a professional or whatever, just keep playing and spread your music around whenever you can. JM: You know, sometimes I ask people that question and they say “Quit”. ES: [laughs] I really don’t think you can go into it with aspirations. I know that people write for different reasons, but for our kind of music you just have to come from a pure place. Or, yeah, you might as well quit. JM: You have the orchestral album coming out. Are you working on another solo album, or are you and Amy working on a new Indigo Girls album? ES: Yeah, the symphony album comes out on the 29th of June, and then Amy’s next solo album comes out at the end of September. 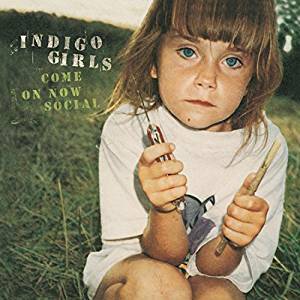 And then we’re going to London at the beginning of next year to start a new album with the team that we worked on for Come on Now Social, which is one of my favorite albums of ours. I’m really excited to get back with them. They’re all Irish and English, and super-cool people. We’re going to go and record at Peter Gabriel’s studio. We’re just super-excited for that. And then I’m going to start working again on solo songs. Right now I’m focusing on writing for that album. So kind of more projects. JM: I love the Come on Now Social album, so I’m glad to hear that you’ll be teaming up with that crowd again. ES: Yeah, we are, too. We’re both super-excited about that. JM: One last thought that you might find funny. I have a lot of respect for what you’ve done for the LGBTQ community. 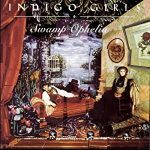 But I remember that my friends and I were more shocked when the Indigo Girls started using electric guitars than when you came out. [ES laughs] I especially remember the song “Touch Me Fall” which has some cool electric guitar in it, and then it suddenly it almost sounds like Sonic Youth. ES: Yeah, Amy is very influenced and inspired by post-punk, and she is a huge Sonic Youth fan. That’s her going crazy strumming on her electric guitar. My parts were different, more sparse on that song. But that song was really a prototype. Thank God Amy… She’s such a rocker, you know? She opened up that whole world for us, because playing electric guitar is more fun than playing acoustic guitar. Just turning it up and letting it rip – that sound, that wave of sound is really, really awesome. So I’ll credit Amy with starting with that song as a prototype of stuff that we were able to do later. 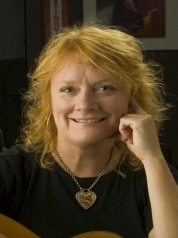 For an interview with Amy Ray, click here.